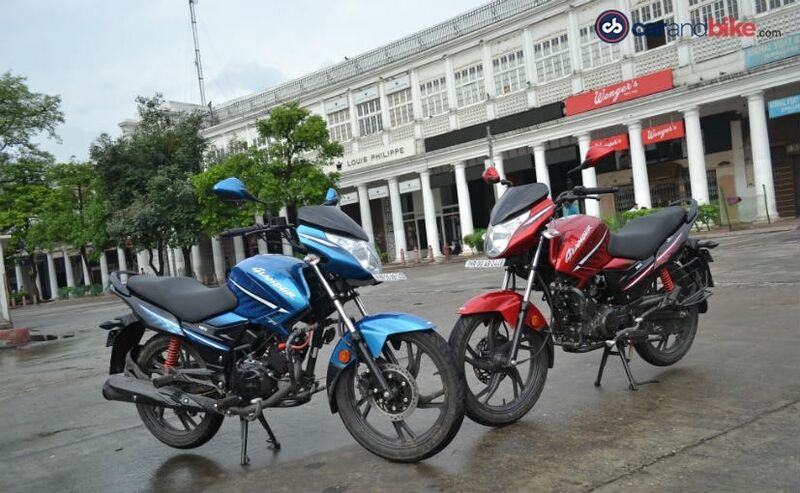 The Hero Glamour has been around since 2005, and is one of the bestselling commuter motorcycles from Hero MotoCorp. The all-new 2017 Hero Glamour gets a new engine, new chassis and updated design. Does it get better than the old Glamour? We spend some time with the all-new 125 cc Hero Glamour - with both the carburetted and fuel-injected variants. The Hero Glamour is one of Hero MotoCorp's bestselling motorcycles, and was first launched back in 2005. 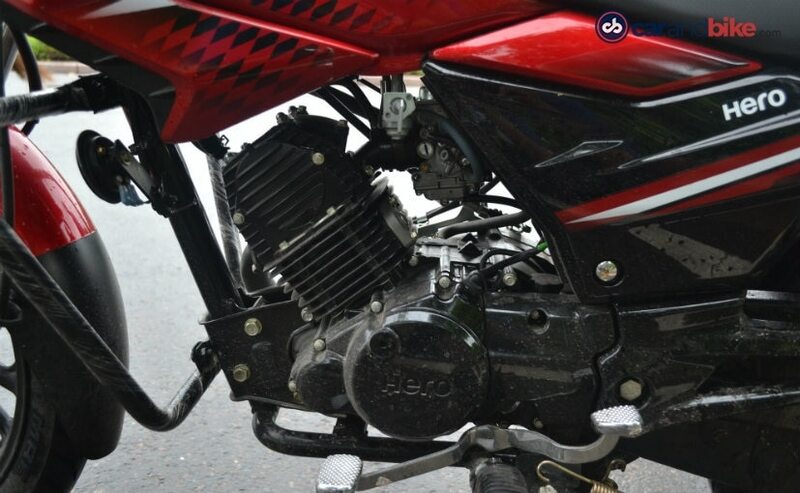 The first generation Hero Glamour was one of the first motorcycles in India to be offered with a fuel-injected engine. The Glamour still sells in decent numbers and still lays claim as one of the largest selling 125 cc motorcycle. Now, in 2017, Hero has completely updated the Glamour, with new design, a new chassis, and a new engine which has been developed completely in-house at Hero's R&D centre near Jaipur. And it's available in a carburetted form, as well as with fuel injection. The 2017 Hero Glamour looks premium. Yes, it still has commuter motorcycle proportions, but it looks like a bike from a segment above, with a rounded and sculpted fuel tank, and with premium finishes and stylish design. 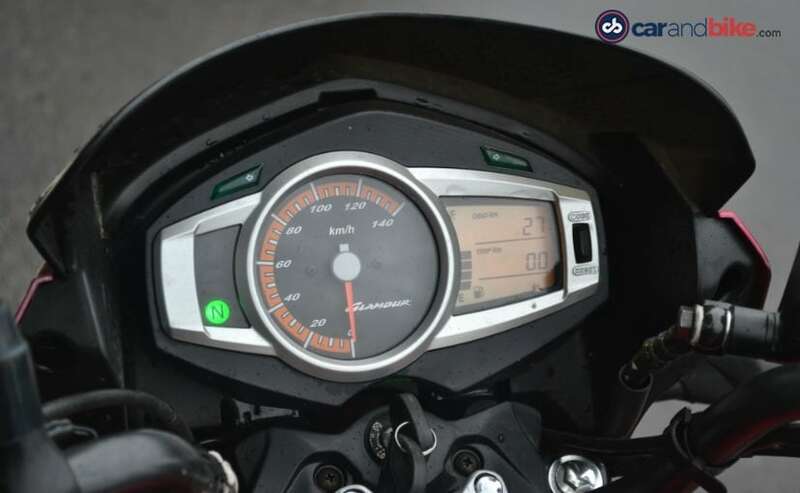 Up front, the new Glamour gets a large angular headlamp, with a bikini fairing, with a part analogue, part digital instrument panel which is quite neatly laid out. The fuel-injected version gets an instantaneous fuel consumption reading, while the carburetted version gets a trip meter in its place. The sculpted fuel tank has well-designed extensions, and integrated side panels which flow smoothly into the tail section. And that's where the best part of the new Glamour's updated design is - the nice looking LED taillight which suitably complements the sharp tail section. The split alloy wheel design is all-new too, and the rear wheel gets a tyre hugger, which not only ups the style quotient, but is particularly helpful keeping muck and spray at bay, like we experienced during our rain-drenched test ride. Both bikes look identical, except for the "Programmed FI" decal on the fuel-injected version, and the i3S, or idle start stop system on the carburetted version. And of course, it gets a fuel petcock which the fuel-injected version doesn't have. The carburetted version also gets the i3S system - the idle start stop system, which essentially starts the bike with just a pull of the clutch lever; particularly useful in stop-go situations in urban traffic or at stop lights. 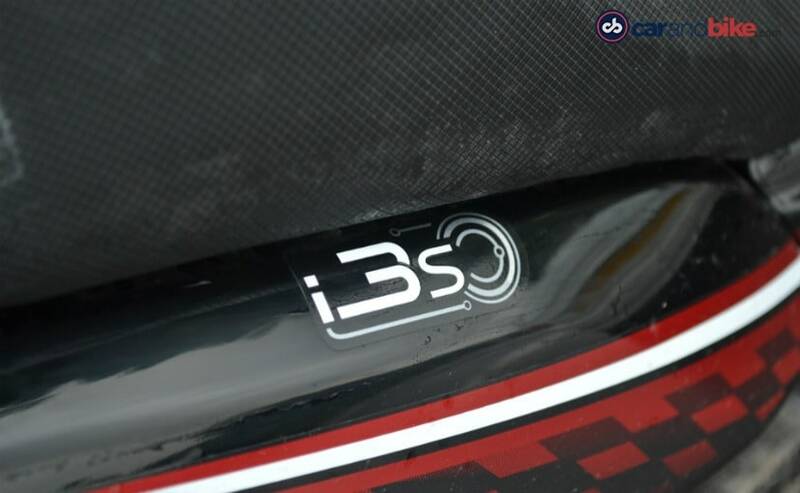 The i3S though has been given the miss on the fuel-injected version, possibly keeping in mind the cost factor, since the FI itself adds considerably to the price tag. 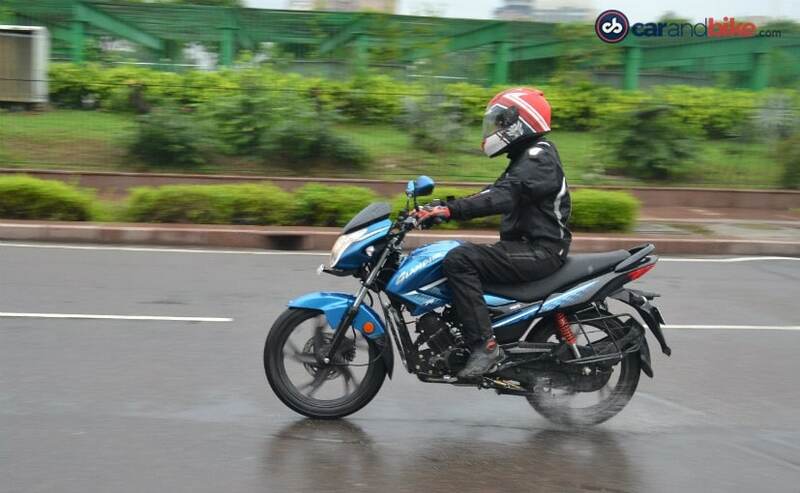 The new Hero Glamour is powered by an all-new, single-cylinder, 124.7 cc, four-stroke engine. It makes 11.4 bhp of power at 7500 rpm and 11 Nm of peak torque at 6500 rpm. Both the carburetted and fuel-injected engines have the same output on paper, but in the real world they are slightly different. Throttle response is linear, and so is power delivery; but it's after switching bikes when the difference in performance becomes obvious. The carburetted Glamour feels more eager, and provides that extra zing, that little extra punch which makes it the more enjoyable motorcycle to ride. The fuel injection though is future-ready, once emission regulations in the Bharat Stage VI (BS-VI) era make carburetted engines redundant, sometime by 2020. For now, the fuel-injected version though left us wanting a little more. For the most part, the new Glamour's got a smooth and refined engine, and gear shifts are slick and precise on the four-speed gearbox. The gear ratios are well sorted, although we wish there was a fifth gear as well. The frame on the new Glamour is new too, and employs a semi double cradle chassis; handling is decent, and the bike remains composed and steady while negotiating traffic. Ride quality is plush, and the well-cushioned seat complements the softly sprung suspension makes it comfortable, handling urban road undulations, speed bumps and the like. Hero MotoCorp has certainly upped the game with the new Hero Glamour. Yes, there are niggles with the fuelling in the FI variant which makes it feel sluggish, compared to the carburetted version. We suspect the fuelling on the FI system isn't quite right up there yet, and it's something we're certain Hero will sort out much before fuel-injection becomes mandatory on all two-wheelers. 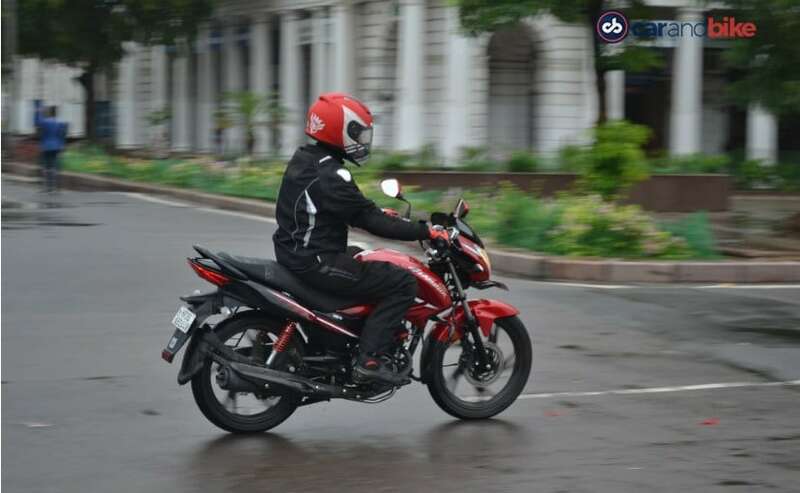 Hero MotoCorp's strength also lies in a superb after sales and service network, and a brand which has considerable clout in the commuter motorcycle segment. 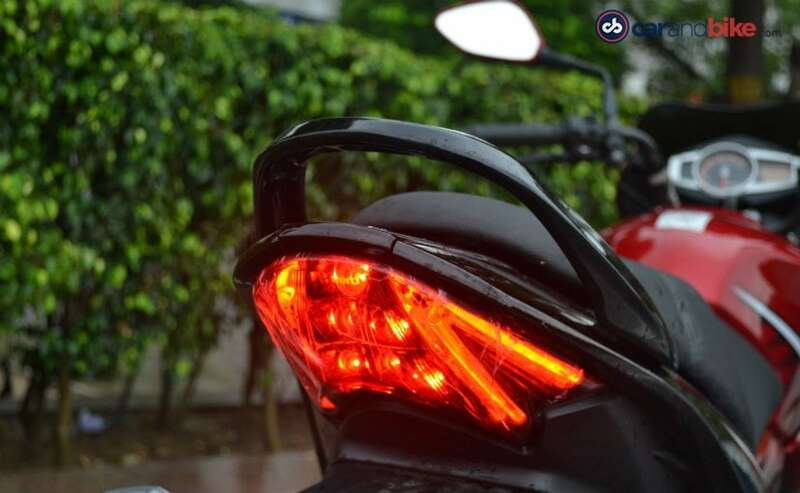 Hero claims fuel economy figures of over 80 kmpl for the Glamour, and in the real world, the bike should return around 60 kmpl depending on individual riding style and traffic conditions. At prices starting at ₹ 58,896 (ex-showroom Delhi) for the carburetted version, the Hero Glamour is competitively priced and offers a value-for-money commuter motorcycle. The fuel-injected version costs ₹ 69,548 (ex-showroom Delhi) and also boasts marginally better fuel consumption. 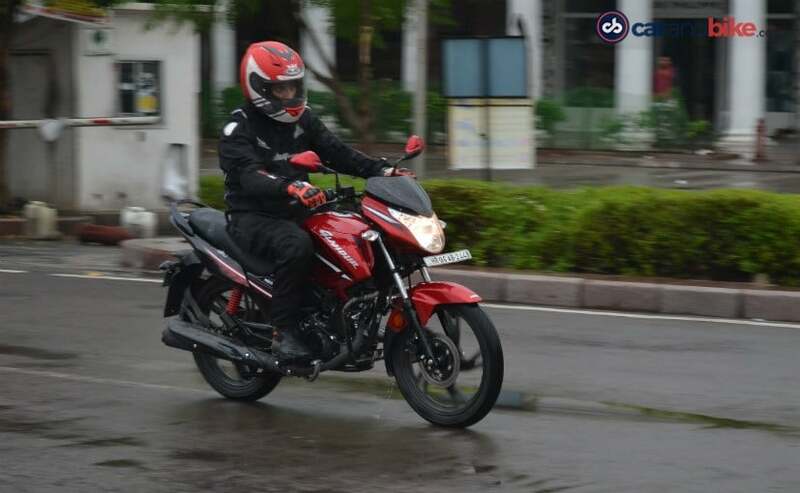 In all, the new Hero Glamour is a well-rounded package that will certainly be welcomed by the quintessential commuter rider looking to upgrade from a 100-110 cc motorcycle, or even for first time buyers in the 125 cc space.